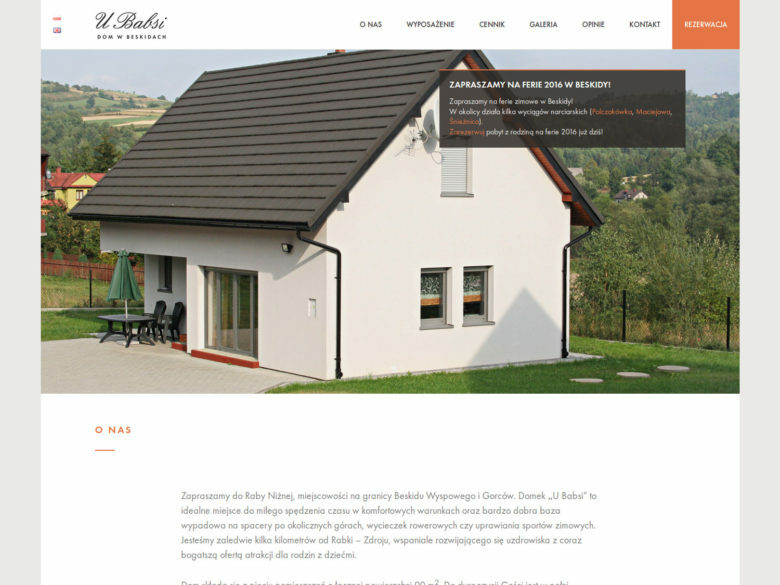 A one-page multilingual site of a guest house in Beskidy, southern Poland. This site features all the important information about the guest house – be it pictures, prices or equipment details in a scannable and visually attractive way (thanks to Anna Pawełczyk’s great design work). The site is based on WordPress and has it’s own custom theme tailored to the client’s needs. It’s lightweight, responsive and coded with the mobile-first approach. To please the eye, subtle animations were added as transition and decorative effects. The client was delighted, mission complete!